Feline Rescue is a local "no-kill" cat rescue organization. They rescue stray and abandoned cats and kittens and find homes for them. They screen the adoptive homes very carefully before they will place one of their cats. They have a network of foster homes to take care of the cats until they find permanent homes. They work with a group of local veterinarians to sterilize the cats to decrease the number of future unwanted cats. They also provide free medical care for the cats until they are adopted. Since 2008, at every fundraiser I've held for Polar Bears International, I always donate a portion of the funds to Feline Rescue. With the Children's Talent Show/Fundraiser and all of the other fundraisers, I've already donated several hundred dollars to Feline Rescue! For my birthday in 2010, I organized a Feline Rescue party. I invited my entire school class, and instead of gifts, asked that the guests donate or bring an item for the cats at Feline Rescue. 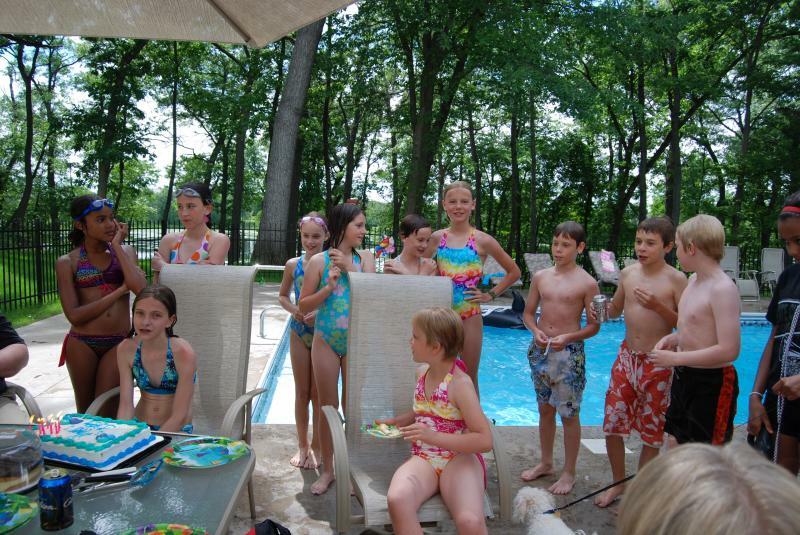 I organized another party for them in 2011! I help this organization because I LOVE cats! We took in a barn cat years ago, and she was pregnant with 6 kittens. We kept all 7 for about a year because we hated to split up their little family! But, my dad is allergic to them, so we found homes for all of them but one. We kept Shy Guy because no one wanted him--he was TOO SHY! He kept hiding in the rafters whenever someone would come to see if they might want him! (That's how he got his name). But it worked out great, because he was our favorite one, a true sweetheart, and we really wanted to keep him. 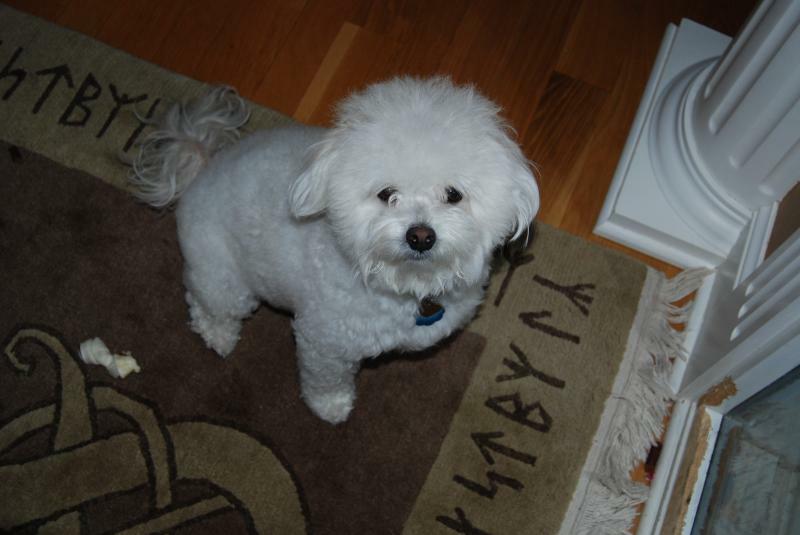 Sadly, Shy Guy passed away on January 23, 2011. We miss him so much - he was the PERFECT cat in every way! Above: I like dogs, too! Here's a picture of my dog, Biscuit. Mom calls him "Biscuit NO!" Below: My late cat, Shy Guy! (below) I miss him so much!!!! Below: Helping to socialize one of the cats! 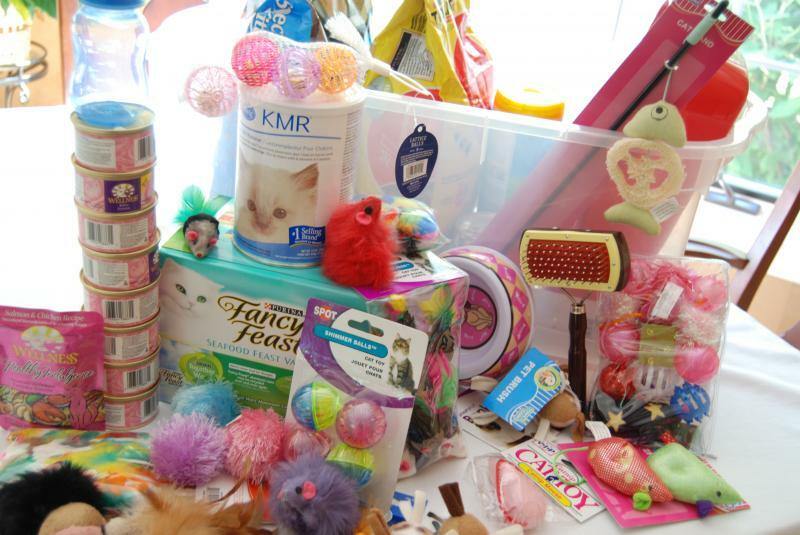 Above: Some of the gifts received for my Feline Rescue birthday party/fundraiser. 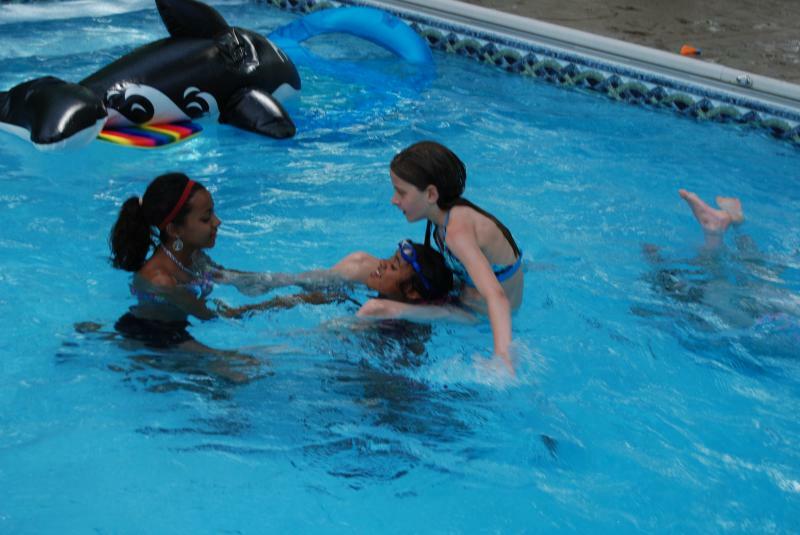 Below: Swimming w/2 of my BFF's, Annaliese & Katrina, at my Feline Rescue Birthday Party!